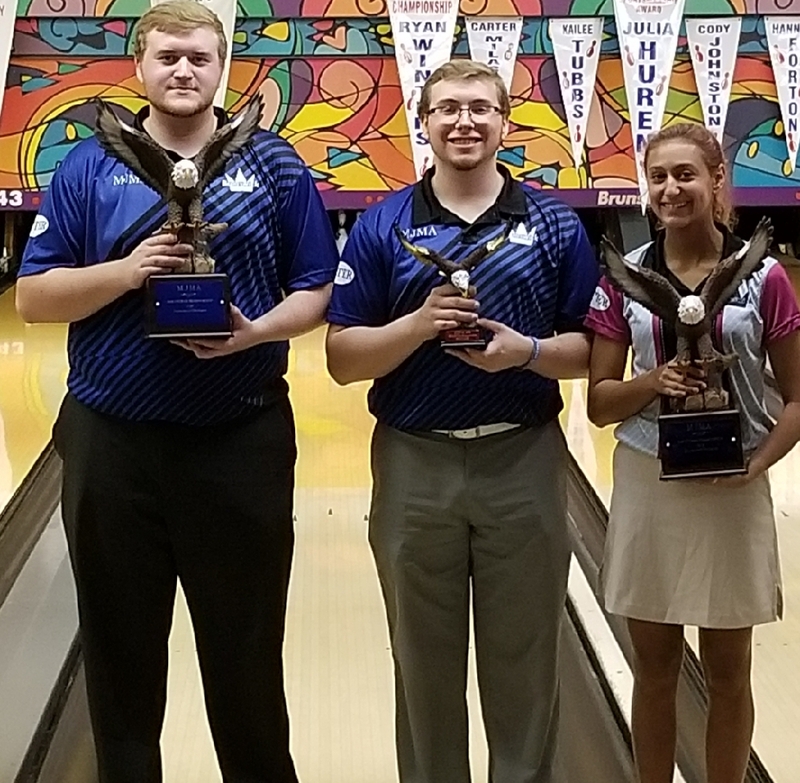 Three Greater Grand Rapids Youth Bowlers, from Spectrum Lanes-Wyoming, Stand Out in the 32nd annual Daniel C. Ottman Memorial Championships at the Monroe Sport Center- MJMA. This is a three day tournament which consisted of 18 games of qualifying, then followed by 12 games of Round Robin play and then onto step ladder finals. Macailin Rodriguez a 2018 graduate of Caledonia High School and an upcoming Freshman Maryville University recruit averaged 192 in the 18 games of qualifying, making her the top qualifier. After the 12 games of round robin Rodriguez was number 1 seed by 172 pins actual. Rodriguez also captured the high game for the girls. The top 3 ladies advanced to the step ladder, being 1st seed Rodriguez had a bye; she then defeated Kailee Tubbs, Whitewater University, in the finals. This was Rodriguez’s first MJMA title, what a great way to end the season. David Northouse a Davenport University bowler who just finished his freshman year, also known to his team mates as “The Finisher”, averaged 198 after 18 games of qualifying and was sitting in 4th. After 12 games of round robin Northouse moved himself into the #2 seed. Top 5 guys advanced to the step ladder; Northouse had a bye for the first 2 rounds; then he faced his teammate Sean Taylor. Northouse defeated Taylor to move on to the finals; he then defeated Chad Stephens, LTU bowler, to claim the title. Northouse had 2 outstanding games in the step ladder; a 278 and a 279. This is Northouse’s first MJMA title and was his last event with MJMA; Making his title even more remarkable. 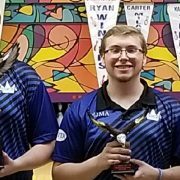 Sean Taylor, Davenport University bowler who just finished his Junior year averaged 190 after 18 games of qualifying and was sitting in 7th. After 12 games of round robin Taylor moved himself into the #5 seed, just making step ladder. Sean defeated Antar Howard, Madonna University, in the first step; Taylor then went on to defeat Ryan Winters, Whitewater University. Taylor then faced his teammate Northouse. Taylor had a great game but a 7-10 split did not help and also Northouse had the front 9; Taylor was defeated by Northouse, giving him a 3rd place finish overall. Photo and article courtesy of Mike Marks, Spectrum Lanes.